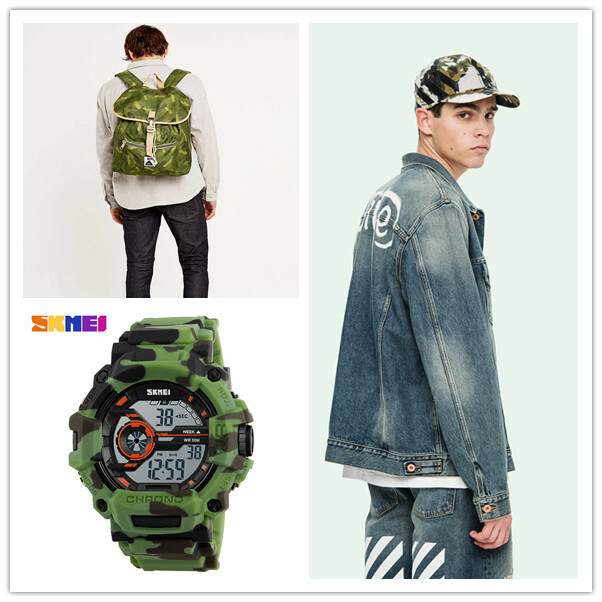 How to Best Rock the Camo Fashion Element in 2018? 2018 is surely a year to reckon with within the fashion circles. Indeed it is a year that is all about making bold fashion statements and as if to stress this point, the Camo fashion element is back with a bang! No longer the preserve of military personnel and hunters, fashionistas in 2018 are making it fresh and cool once more. Camouflage just like animal print never goes out of style and is perfect as casual wear no matter the season, as long as it is styled right. The following are some of the tips for adopting the Camo fashion element in 2018 and styling it right. If you are looking to dip your feet in the pool of Camo fashion then it would be a good idea to start out with Camo accessories. Military watches are a great place to start due to their aesthetic appeal, durability and top quality. When choosing the right military watches, you should always look out for toughness & scratch resistance, accuracy, water & pressure resistance, and quality of strap. Other accessories you might want to consider include camo shoes, baseball cap, holdall, and backpack. 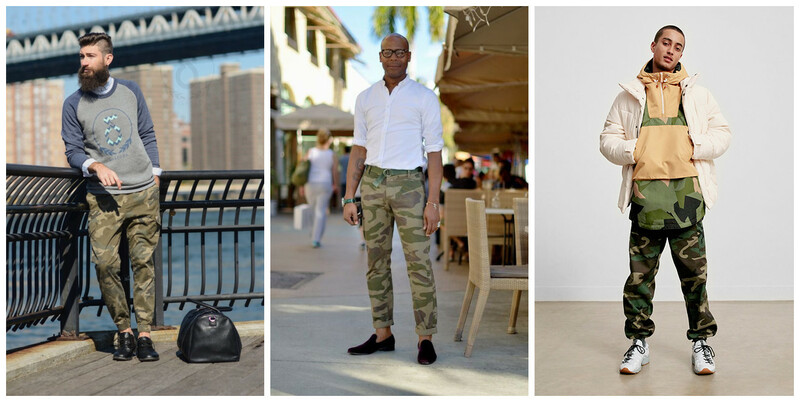 Camo trousers are more of a formal fashion statement than a casual one. Camo trousers are a fashion statement and a spectacle in themselves which thereby one to keep the rest of their outfit simple. A logo sweater or a tee-shirt of plain color such as black can help embrace the urban feel portrayed by the Camo trouser. Oversized camo trousers can also be paired with your favorite sneakers. The camo jacket is considered one of the most classic style statement that is perennially stylish, season-less as well as an exciting way to inject the camo fashion trend in your wardrobe. 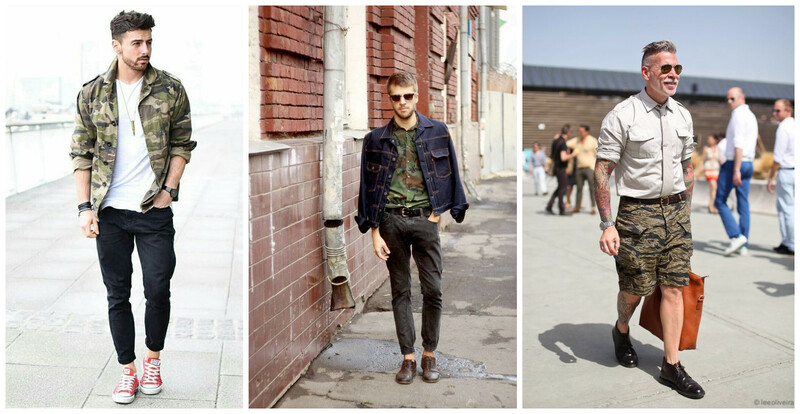 Indeed a camo jacket is a great way to indicate that you are on trend and stylish. The camo jacket is not difficult to wear as some people may think. Make sure to choose one that is a relatively slim fit and which sits at the top of your thigh. It should leave enough room for your complimentary shirts and tee-shirts in order to create a great layering effect. You should also consider pairing it with darker shades of denim jeans. If you are looking to incorporate the camo fashion element in your casual wardrobe this 2018, then you should strongly consider the Camo hoodie. You could also consider losing the hoodie and achieving the same effect with a Camo Sweater. Since the hooded top or sweater is likely to come out as flamboyant it is important to pair it with skinny jeans and color block sneakers. Rocking the Camo fashion element in 2018 is all about making a bold statement and standing out. The above tips will go a long way in ensuring that how you style you camo apparel and accessories is on point.